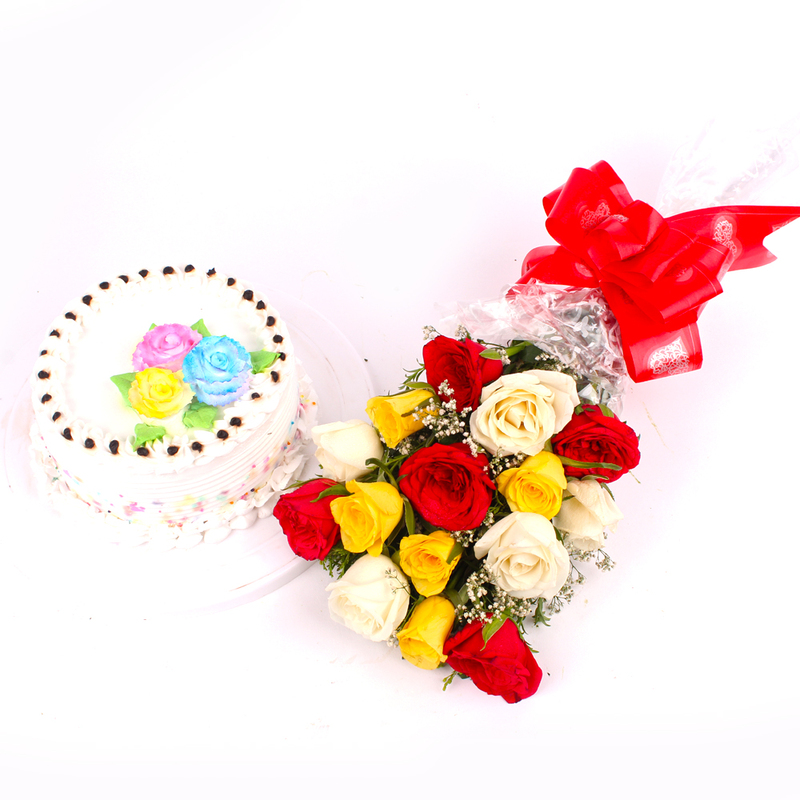 Product Consist : 15 Colorful Roses Bouquet along with Half Kg Vanill a Cake. If you are looking for a unique and heartwarming gift for your dear ones then here is a fantastic gift option that is all set to make them feel loved and cherished. 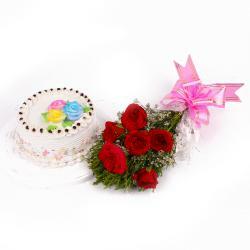 This is a fabulous gift combo which has a bunch of 15 multi color roses heavenly looking farm fresh along with Half kg Vanilla Cake. They are adorned with classic cellophane wrapping and hand tied with matching ribbon in bow shape to make it look super attractive. 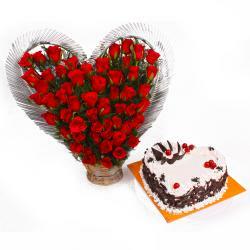 Get this charming gift ordered on special occasions like Birthday, Anniversary, Diwali, Onam, Parents Day, Boss Day to send love and best wishes to loved ones. It is surely going to make them smile. 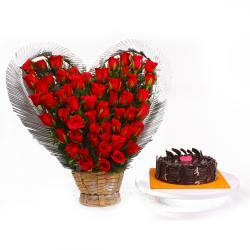 Send your love and care wrapped in this gift through Giftacrossindia.com. 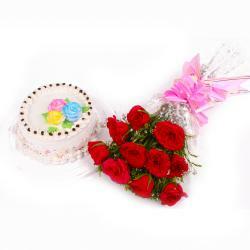 This gift hamper contains : Fifteen Colorful Roses Bouquet along with Half Kg Vanilla Cake.